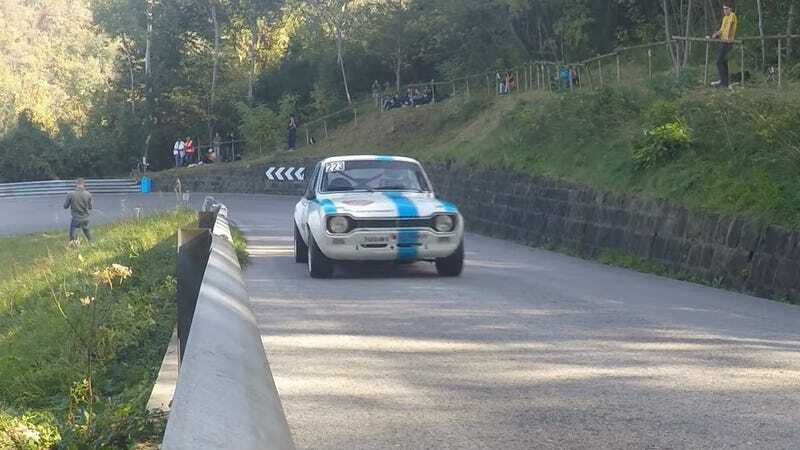 This video depicts Rino Muradore on his way to a Historic Class victory at the 2017 running of the Cronoscalata Cividale Castelmonte Italian Hillclimb. The car’s 2-liter Ford/Cosworth aluminum block BDG engine does the lion’s share of the work, converting screaming engine sounds into speed, presumably through magic. Trust me when I say, you’ll want to watch this one. It’s two minutes well spent.